The elements of wind, rain and sun can impact on the life and reliability of pumps and it is important that it is protected with the best way of doing this is by installing the pump in a durable pump cover. 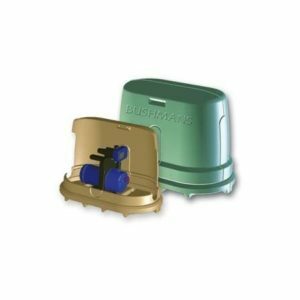 The Bushmans pump cover not only shelters the pump but also incorporates a base that protects the pump from water and other issues that may arise by placing the pump straight off the ground. Pump covers are used extensively around the house, shed, or at commercial premises and ensure the pump as part of the rain harvesting system remains robust and efficient.